The U.S. missile strikes on an Assad regime air base in Syria on Thursday has cost the Pentagon around $93 million. 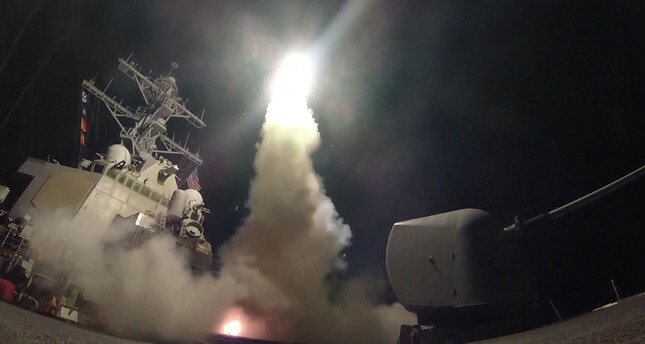 According to the U.S. Navy's 2017 budget, each Tomahawk missile, made by Raytheon Co. RTN, cost $1.59 million and the U.S. used 59 of them on the Shayrat air field in response to a chemical attack that killed over 80 civilians. The U.S. Navy is not planning, at least for now, on purchasing more Tomahawks after this year, an expert said. In September 2014, U.S. ships launched 47 Tomahawk missiles during the first night of strikes against Daesh in Syria. These missiles can also be launched from attack submarines, but the location of these vessels is secret. A barrage of Tomahawks could overwhelm any air defense system. According to the Observatory, the U.S. strike on the base killed eight members of Syria's armed forces, including a doctor. Regime sources had earlier said six people were killed in the strike, without specifying if they were military personnel or civilians. The regime's news agency SANA also said the strikes killed nine civilians in villages near the base.